Brazil is home to the largest wetlands in the world and an ideal location for eco-tourism. If you always dreamed of going on Safari, Brazil's Pantanal will enchant you. The landscape is closer to an African plain than one would imagine and often resembles the Savannah when dry. However, water abounds, making it easy to explore multiple waterfalls, lagoons, caves, caverns, and rivers. As the cycles of dry and wet seasons play tug of war each year, they create a territory full of natural beauty. This region is perfect for enjoying untouched nature from beautiful meadows, leafy marshes, endless forest, and winding rivers. Bonito is true to its name, beautiful! Avid adventure tourists cannot pass up the opportunity to experience mother nature's most pristine waters, which some call the "Caribbean of the Central West." Situated in the state of Mato Grosso do Sul, a trip Bonito is imperative for those who love water sports such as diving, snorkeling and swimming in crystal clear blue waters. The natural limestone of the area filters the water so it is pristinely clear as well as full of an abundance of flora, fauna, and wildlife, which bask in the high-calcium water. Arrival in Rio and transfer to the hotel. Overnight at the hotel. Breakfast and depart to visit the Sugar Loaf Mountain. It was there, at the feet of Urca Hill, that the city of Rio de Janeiro was founded in 1565 by Estácio de Sá. The visit is done in two steps, by modern cable-car. The first ride of the cable-car links Praia Vermelha to Urca Hill, located at 215 meters of altitude, a point from which one can see all the Guanabara Bay and its islands, the Flamengo landfilling, the Corcovado and the Rio-Niterói bridge, besides the majestic mountains that protect and embellish the city. In the belvedere there is a food court, an anphiteatrum and a helipad. The second cable-car ride takes you to the top of Sugar Loaf mountain, at 395 meters of altitude, from where one can see, in a unique perspective, the beach of Copacabana, the Santa Cruz Fortress, some beaches of Niterói in a fantastic scenery. Lunch time (not included), followed by a visit to the Christ the Redeemer statue on Corcovado Mountain by Tijuca Forest. See the most famous of all images of Rio, the statue of Christ the Redeemer. Drive back to the hotel. Overnight. After breakfast, free day to relax or to enjoy an optional activity (see the "Enhance your experience" tab). Overnight. Breakfast. Transfer to the airport for flight to Campo Grande (not included). 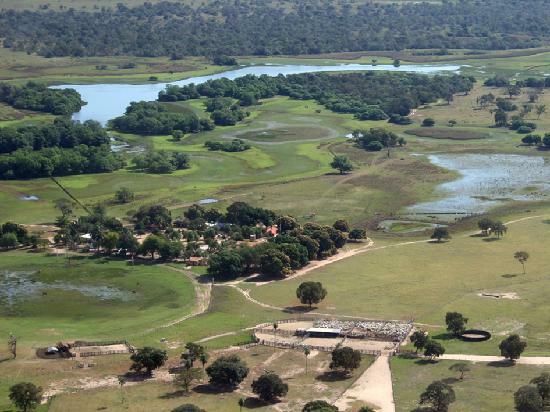 Arrive in Campo Grande and transfer to Pantanal by car (approximately 245 km / 3.5 hours, except option 3 which is done by plane in approximately 1 hour). 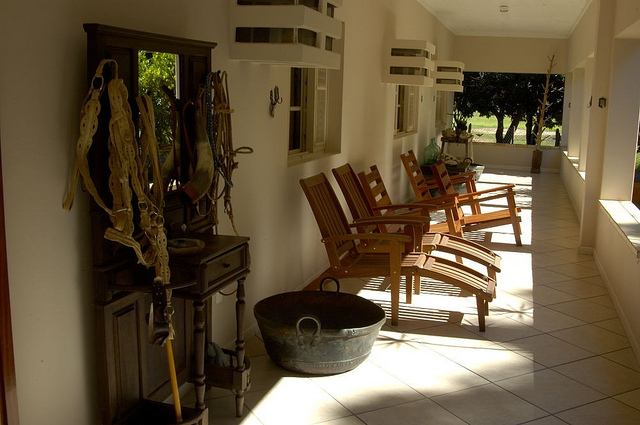 Arrive at the lodge where you'll enjoy a treasure of local fauna and flora mixtures. Accommodation, dinner and presentation of the activities to follow in the next days. During your stay in Pantanal, all your meals and activities are sorted out for you. All you have to do is choose your favorite activities and enjoy the holidays. Most activities are defined by the lodge but you will have the opportunity to choose from several options. Below is a brief description of the possible activities which are included depending on the package option you choose (1, 2 or 3 - see the "Hotels and prices" tab for details on each lodge). A typical boat of the Pantanal, known as Chalana, is used in this trip realized in the Corixo São Domingos - an arm of Miranda River. In this tour one can see the birds that inhabit the river margins like kingfishers, cormorants, egrets, herons, hawks, jacamars and many others. Caimans are often seen. With luck, giant river otters, southern river otters and even an anteater can cross in front of the boat. In this tour you can also do sportive fishing for piranhas and visit the Centennial Fig Tree. During the dry season, it is possible to walk on a trail in the gallery forest of Corixo and discover the typical vegetation of this forest. Trees like strangling fig tree, white fig tree, bacuri palm tree, piuva, angico, and also several lianas can be seen. This hill is located close to the farm's headquarters. 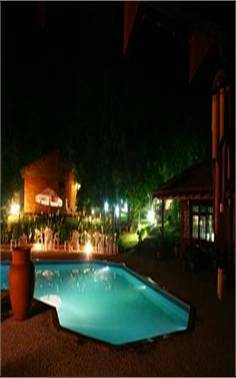 It is a pleasant option for those who want to become a guest and enjoy the night in the silence of the Pantanal. The barbecue is done on top of the hill. With a fire to make you feel cozy and with the stories of Mr. Cassimiro the night becomes really nice. Dinner is served together with the barbecue at the hill. Sometimes the barbecue turns into a ball party! for you. After that, you walk on the Little Hill's trail to get at the Corixo's deck where you will get a canoe. The guides are trained to give you all the information you need to have a nice and safe trip. After the instructions, you just have to relax and enjoy, paddling along the calm waters of the Corixo. There is no need of special training to take part on this tour. you return to the headquarters for the quebra torto (typical breakfast of the Pantanal) and to the next activity. The Photo Safari is done in the area of forest reserve and rice fields of the farm. In this tour it is possible to see local fauna like marsh deer's, capybaras, caimans and many birds as the jabiru stork - bird symbol of the Pantanal. With luck you might see anteaters, tapirs and even the majestic jaguar. During the safari you will be able to walk on a suspended trail built in the gallery Forest of Miranda River. This walk lasts around 20 minutes. It is possible to visualize the encounter of the waters of Corixo São Domingos and Miranda River. One can find in the Pantanal great diversity of animals with nocturnal feeding habits. Animals like crab-eating foxes, ocelots, tapirs, caimans, capybaras, deers, owls, nighthawks, and the beautiful jaguar. 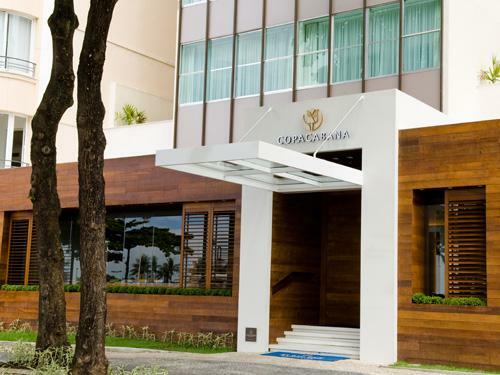 headquarters of Fazenda San Francisco and lasts about 2 hours and a half. We travel through the rice fields (good place to spot mammals) and the forested areas. During the dry season (usually between June and October) it is possible to traverse the beautiful area of Corixo Seco, which has an intact and tight forest. Our cars, called Jaguaretê (Jaguar), Jaguatirica (Ocelot) and Guará (Wolf), were specially built for this trip. They are mounted in Toyota Pick-ups equipped with seats in three different levels to facilitate the visualization of animals by everyone in the car. The guides that take you in this tour are very well trained to search for animals at night. The horseback riding is one of our most interesting tours because you can get to know the Pantanal like the "pantaneiros" (local people), on top of a horse! Our horses are tame and used to the easy walk of the trip that aims at searching for animals. In this tour, the pantaneiros guides, carry in their saddlebag the tereré - typical drink of the region - similar to the hot mate, but with cold water. There are different places where one can ride in the farm. Savannah, wetlands (depending on the season) and also you might join the work of the cowboys (available according to the type of work they are doing). "pantaneiro guide" and insurance for personal accidents. In the morning you will leave at 7h00 and in the afternoon at 15h30 in a car to start the interpretative walk on the Vazante's Trail. We traverse areas of vazantes (drainage of the water in the wet season) and reserve forests of the farm. The trail is built on stilts so one can use it all year long. Many birds, marsh deer, anacondas and other animals can show up during the walk. At the end of this runway there is a watch tower 10 m high (30 feet) where you can have a nice view of the beautiful landscape. Observations: What to bring: long trousers, closed shoes (snickers), sunscreen, insect repellent, hat or cap, water, binoculars and photo or video equipment. Note: The order of the tours above is defined by the lodge, that will hand in the schedule of the activities upon guest arrival. Guests with pick-up at the airport between 11am and 2pm will not be able to attend the afternoon tour of the first day. The road access is by BR 262, a federal highway that links Brazil to Bolivia. The farm is 236 km (147 miles- 3h30) far from the capital of Mato Grosso do Sul state (Campo Grande), and 36 km (22 miles - 30min. )from Miranda city - towards Bolivia. During the trip, one can see Maracaju Mountains, a wonderful landscape. The tour takes about 3h30minutes. The traveler will receive the schedule at the check-in. The activities will be considering the lodge availability. The activities always happen at the beginning of the day, afternoon until sunset and part of the night in the case of jeep. Type and duration of each tour depends on weather conditions and guests profile. Horseback riding - The "Pantaneiro" horses, raised at the Fazenda, are excellent for tours in the surrounding of the Pousada. This place has the biggest concentration of trees and a lot of animals can find shelter and food everywhere. The "Pantaneiro" horses are rustic and completely adaptable to the wetlands - when the rain season starts (from November up to March) the horses have to look for food on the flooded areas. Guests could join Pantaneiros (local cowboys) when they are doing their daily work and see their talent roping and how they handle the cattle. frequently found at the bays, mainly at dawn and dusk. Hiking - Trails take visitors to special places like the macaw's landing area. There are trails that work as bee's way and others that are perfect to see the sunset. Night Spotlight - A tour done at night, on a 4WD vehicle could show caimans and other night animals. It is definitely a special way to watch and listen to the sounds of the Pantanal. Photo Safari - depart in 4WD vehicles, observe and take pictures of fauna and flora. All these tours are done around the fields. The road access to Baía das Pedras is by BR 163 (300Km by paved and dirt road - around 6-7 hours). Private transfers included according to arrival time. January to April (by plane) but must be consulted before because this would depend on weather conditions. Hikes - Mainly on trails through heavy bushes. The hikes make it easy to observe forest vegetation and the animals. We'll walk along the river, woods and savannah. Horseback Tour - This is one of the best ways to explore Pantanal, allowing visits to areas that are inaccessible by other means, like local flooded areas, where the water is too deep for motorized vehicles or too shallow for boats. Before each tour basic instructions are given on how to get along with the horses, how to ride, the risks and care involved, etc. Motor Boat - Motor Boat along Salobra River, Miranda River, Bays and others waterways of the Delta. It is a true expedition where you can observe animals and their behaviors. Canoeing - Tour on canoe down the river. The silence is an advantage of this modality. Electric Motor Boat - Tour on electric motor boat downstream the river. This activity makes it possible to use photography equipment. Jeep Tour 4x4 - The tour generally takes place until night, making it possible to watch the animals and their nocturnal lives. On demand: There are also special tour packages such as bird watching or the observation of a specific animal of your choice, these have extra costs involved. shortly after Miranda River bridge. Then travel 11 km on dirt road. Private transfers Included according to arrival time. Continue exploring the many activities described in Day 5. After breakfast, check-out and depart for Bonito (4h00 approximately). Accommodation. Overnight. Optional tour (not included - see the "Enhance your experience" tab for more information. After breakfast depart to visit Buraco das Araras (Arara's Hole), a sanctuary where these birds come back in the evening to sleep. Then depart to Rio da Prata Ecological Refuge. Trail hiking in the impressive primary forest. Snorkeling down the Olho D'Água river's transparent blue waters to the Prata river. Lunch (included). Drive back to the Hotel. Overnight in Bonito. After breakfast free day for optional activities please check the “Enhance your Experience Tab”.. Overnight. After breakfast transfer to Campo Grande to take flight out (not included). End of services. Ranch located in the Bodoquena Mountain Range, with 45% of the area for cattle raising and 55% for environmental preservation, where ecotourism is held. Hiking : Boca da Onça Ecological Trail. There are four miles of hiking through preserved forest crossing ten waterfalls, including the stunning Boca da Onça waterfall – the highest one at the state. Enjoy relaxing in natural pools and swimming in the Salobra River as part of the activity. Rio Salobra Ecological Trail. This is a 3 km walk through the riparian forest with stops to bath in Salobra River and Boca da Onça waterfall. It offers a breathtaking view of the Bodoquena Mountain Range. Important : This tour is for those who like to contemplate nature and hike through the forest. This is a medium to hard level due its steep trails. We do recommend to use comfortable clothes, bath suits, towel and another dry clothes. Included : transportation in a nice vehicle with air-conditioning and a certified driver, ticket, lunch and English speaking guide. Estância Mimosa is a mix of stunning and preserved nature and satefy. Offers an authentic ecotourism experience. Member of the ‘Tour Experience’, a Brazilian Project which recognizes companies able to inspire and well serve the guests. Main tour : trail and waterfalls. An interpretive trail inside the forest stopping at eight cascades, where you could swim in natural pools. Along the way, there are small caves, a paddling boart ride and belvederes with good view of the Mountain Range. Included : transportation in a nice vehicle with air-conditioning and a certified driver, ticket, lunch with dishes and desser prepared in wood burning stove, life jacket and english speaking guide. 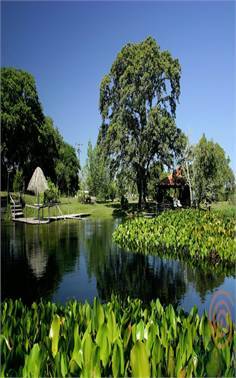 Located in Agua Viva Farm, this is one of the most beautiful and idyllic natural scenery of the region. Clear water rivers, ornamental waterfalls, several natural pools, and some wildlife as monkeys, macaws, toucans, among others. Guests could enjoy and relax at the waterfalls, swim with the fishes in the natural pools and then enjoy a typical lunch from Mato Grosso do Sul, prepared by the owner of the farm. After lunch, visitors can relax and rest in hammocks. Inside inflable boats in a 7km path through Formoso River, guests have the chance to enjoy the fauna and flora and the emotion of the boat ride along the river. The tour is made over calm waters, despite the emotion. Enjoy a refreshing bath in the river. From December to Februrary we do not recommend this tour due the rainy season. Included : transportation in a nice vehicle with air-conditioning and a certified driver, ticket and English speaking guide. Try a adventurous ride down the river inside a ‘bóia cross’, a kind of float, for 1.200m. After that, hike back through a trail inside the forest. We do not recommend this tour for those who don´t know how to swim. Life jacket and helmets are mandatory. Combine 2 great attractions in just 1 visit : Lago Azul and São Miguel Grottos. The Lago Azul, Grotto was discovered by a Terena Indian in 1924, and it is one of the most beautiful postcards of all the natural landscapes in the region. 80 meters deep and 120 meters wide and a breathtaking vision of crystal clear waters, the place is no coincidence that the Blue Lagoon Cave is considered a Natural Monument. The title given in 1978 by IPHAN (Institute of National Historical and Artistic Heritage) guarantees its preservation and its access is strictly controlled. A trail and a rough staircase of 300 steps lead inside the cave, but none of this represents an obstacle to the spectacle of nature. 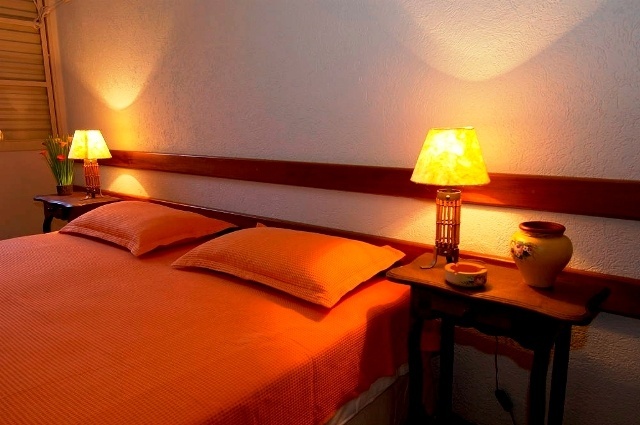 The São Miguel Grottos offer a cozy and comfortable environment and infrastructure with bar, restrooms and free coffee. While you wait for the tour to begin, you can observe many birds and wild animals such as macaws, agoutis and many others. An illustrative video is shown and you can visit an area with indigenous artifacts from the tribes of the region. Included : transportation in a nice vehicle with air-conditioning and a certified driver, tickets and English speaking guide. The Anhumas Abyss is one of the most sensational caves in the Anhumas Valley, located in Bonito, Mato Grosso do Sul. From the entrance to the base of the cave there are 72 meters of vertical descent on rappeling, an entirely safe technique of descending on ropes. The entire process is made with highly trained instructors and monitors to ensure maximum safety. The rappeling takes you to a floating deck over a lake of crystal clear water, where you snorkel (or optional scuba dive – on demand) among the cave formations. This clear pond reaches 80 meters deep. Pre-requisites and training: You do not need to be a super athlete to face Anhumas Abyss. The rappeling training is done one night before the descent for acquaintance with the equipment and safety involved in the adventure. Come live the emotion. Included : transportation in a nice vehicle with air-conditioning and a certified driver, ticket, previous training, necessary equipment (such as neoprene wetsuit, neoprene socks, mask, snorkel and flashlight) and English speaking guide. 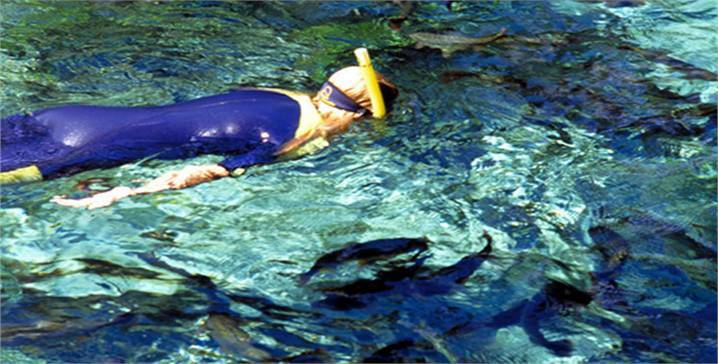 The snorkeling at ‘Aquario Natural’ (Natural Aquarium) is a great experience. Many diferent plants, fishes of various species. The trail which leads visitors to the headspring goes by different landscapes: cerrado (Brazilian savanna), dense forest, marshland, gallery forest; vegetation and fauna change every moment. From the Natural Aquarium springs a river named Baía Bonita, that gives name to the Reserve, through which the visitor floats in one of the world´s most clear waters, on a course of approximately 900 meters (1,000 yds). The neoprene wetsuit and life vest help on floating and keep the body warm, the snorkel ensures tranquil breathing during the flotation and the mask enables seeing all of the places´beauties. This is the most blessed moment of the tour, time to forget about everything, immersed in another world. If the visitor gets tired or prefers to follow the tour out of the water, there is always a boat drifting downstream with tha group. After about 40 minutes of flotation, a short trail leads to the Formoso River, where the groups can play at the Zip wire or on the water trampoline floating in the river, the child that lives inside each on of us is reborn. Back to the reception, imagine the pleasure of tasting an optional delicious meal or relaxing in the heated pool´s hydromassage. Included : transportation in a nice vehicle with air-conditioning and a certified driver, ticket, all of necessary equipment for the snorkeling (such as : neoprene wetsuit, life jacket, mask and snorkel and neoprene sandals) and English speaking guide. The perfect balance between Ecotourism and leisure. At Praia da Figueira you will relax amid nature's spectacle of colors. A majestic pond of crystal clear water, with more than 60,000 square meters, filled with colorful fish, ideal for swimming, diving and practicing aquatic activities such as snorkeling, trampoline jumping, kayaking and pedal boats riding. Meanwhile, the long beach of white sand invites for the practice of sports such as soccer, volleyball and racquetball. For nature's lovers it is the perfect opportunity to admire beautiful shoals of fish from the region as piraputangas, pacus, piaus, curimbas, dourados and many others, besides the lush forest on the other side of the pond. If after so many activities you feel tired, you can spend quiet moments in the pool bar, take a nap on the hammocks or under the generous shade of the fig tree, or enjoy a wonderful lunch in our restaurant. Lagoa Misteriosa, which means “Mysterious Lake”, is a lake at the bottom of a sinkhole, a type of geological formation common in limestone regions. This lake of transparent waters impresses visitors for its incredible depth. It is considered one of the deepest submerged caves in Brazil, with more than 220 meters of water column (maximum depth reached by professional cave diver Gilberto Menezes de Oliveira, in 1998), which explains why is called mysterious. Lagoa Misteriosa is a phreatic cave, that is, was formed by the flow of underground water that dissolved the limestone in its passage. These types of caves usually are flooded and do not have fragile mineral deposits, such as speleothems. The tour begins with a short interpretive trail through the forest that surrounds the doline, an opportunity to observe the rich diversity of fauna and flora. The trail leads to the observatory, where you can admire the beauty of trees that covers the 75 meters deep doline, and see the Mysterious Lagoon at its bottom. The access to this lake of blue waters is made by a staircase of 179 steps, comfortable and safe. Groups are limited to 10 visitors, always accompanied by a local guide. Arriving on the access deck to the Mysterious Lagoon, the visitor receives the equipment that will be used for the snorkeling: mask, snorkel and life jacket. For those who choose not to snorkel, you can admire the blue waters of the lagoon. The snorkeling is indescribable: be amazed by contemplating the vastness of the Mysterious Lagoon, the vision of the two blue abyss on the bottom, the fallen tree trunks, the deposits of white sand, the small fish that glow with the light beams. The snorkeling is carried out in a circular loop in the Mysterious Lagoon. The Mysterious Lake impresses for its incredible depth and clarity of the water . Divers reported that visibility reaches 40 meters. Important : The Lagoon visitation is open all year round but we do recommend to visit it between April to September due visibility conditions. Included : transportation in a nice vehicle with air-conditioning and a certified driver, ticket, mask, snorkel and life jacket and English speaking guide. Breakfast and departure at 8a.m to the Tijuca National Park, stopping at the Chinese View belvedere. This park is known as the largest urban forest on earth. Inside the forest, walk through a trail of easy tracking. During the tour, usually we can see tropical animals like monkeys, monkeys sloths and exotic birds. Afterwards departure to the Christ the Redeemer statue on Corcovado Mountain by Tijuca Forest. Stop for lunch (optional). Afterwards we go to the charming district of Santa Teresa with its cobblestoned hilly streets, old homes, interesting museums and Rio's last surviving tram line. Return to the hotel. Breakfast and departure to the Morrinho Project, a social and cultural project based outside the Pereira da Silva favela (slum) in the Southern Zone of Rio de Janeiro. Then we go to the charming district of Santa Teresa with its cobblestoned hilly streets, old homes, interesting museums and Rio's last surviving tram line. Return to the hotel. Breakfast and departure to samba city. Located in the Rio Docklands, "Cidade do Samba" clusters together the costumes workshops and float production centers of the largest Samba Schools in Brazil. This entertainment complex is planned to offer visitors all the grassroots charm and excitement of Carnival throughout the year, enjoying the magic of the festivities that make Rio de Janeiro the world's party capital. Visitors watch real floats being built and see Carnival costumes being prepared, while learning about unique percussion instruments that hammer out that irresistible samba beat. Afterwards we go to visit the Sambadrome, designed by Brazil's world-famous architect, the modernist Oscar Niemeyer. It was purpose-built for the Samba Parade and was inaugurated in 1984. The sambadrome begins at Avenida Presidente Vargas, near Praça Quinze and ends in Rua Frei Caneca. The large square at the Sambodromo's end is called Apotheosis Square. It prides an idiosyncratic large concrete M, the symbol of the Rio Carnival Parade. The Avenue is 700m (half a mile) long. In the end we go to the Carnival Museum at the Sambodromo, about the size of a suburban family home. It has exhibits telling the story of Carnival and samba. 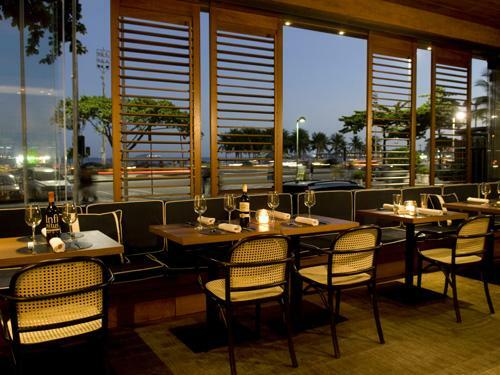 It is located downtown on Rua Marques de Sapucai. Stop for lunch (optional). Return to the hotel. - Opening hours: from Tuesday to Saturdays, between 11a.m and 5p.m. Breakfast and departure by metro to samba city. We´ll drop off at Dom Pedro II station. Located in the Rio Docklands, "Cidade do Samba" clusters together the costumes workshops and float production centers of the largest Samba Schools in Brazil. This entertainment complex is planned to offer visitors all the grassroots charm and excitement of Carnival throughout the year, enjoying the magic of the festivities that make Rio de Janeiro the world's party capital. Visitors watch real floats being built and see Carnival costumes being prepared, while learning about unique percussion instruments that hammer out that irresistible samba beat. Afterwards we go to visit the Sambadrome, designed by Brazil's world-famous architect, the modernist Oscar Niemeyer. It was purpose-built for the Samba Parade and was inaugurated in 1984. The sambadrome begins at Avenida Presidente Vargas, near Praça Quinze and ends in Rua Frei Caneca. The large square at the Sambodromo's end is called Apotheosis Square. It prides an idiosyncratic large concrete M, the symbol of the Rio Carnival Parade. The Avenue is 700m (half a mile) long. In the end we go to the Carnival Museum at the Sambodromo, about the size of a suburban family home. It has exhibits telling the story of Carnival and samba. It is located downtown on Rua Marques de Sapucai. Return to the hotel. Breakfast and departure by metro to samba city. We´ll drop off at Dom Pedro II station. Located in the Rio Docklands, "Cidade do Samba" clusters together the costumes workshops and float production centers of the largest Samba Schools in Brazil. This entertainment complex is planned to offer visitors all the grassroots charm and excitement of Carnival throughout the year, enjoying the magic of the festivities that make Rio de Janeiro the world's party capital. Visitors watch real floats being built and see Carnival costumes being prepared, while learning about unique percussion instruments that hammer out that irresistible samba beat. Afterwards we go to visit the Sambadrome, designed by Brazil's world-famous architect, the modernist Oscar Niemeyer. It was purpose-built for the Samba Parade and was inaugurated in 1984. The sambadrome begins at Avenida Presidente Vargas, near Praça Quinze and ends in Rua Frei Caneca. The large square at the Sambodromo's end is called Apotheosis Square. It prides an idiosyncratic large concrete M, the symbol of the Rio Carnival Parade. The Avenue is 700m (half a mile) long. In the end we go to the Carnival Museum at the Sambodromo, about the size of a suburban family home. It has exhibits telling the story of Carnival and samba. It is located downtown on Rua Marques de Sapucai. Stop for lunch (optional). Return to the hotel. Breakfast and departure by car for a tour in the city center. We will visit the most important sites of Brazilian History in Rio, like the National Library, Tiradentes Palace, The Portuguese Royal Lecture Room, the Paço Imperial and the panoramic view of the colonial buildings that remains at Uruguaiana Street. Return to Hotel. - Opening hours: Monday to Friday. Tiradentes Palace: between 10h00 and 17h00; National Library: between 10h00 and 16h00; Paço Imperial: between 13h00 and 17h00. Portuguese Lecture room: between 9h00 and 18h00. Breakfast and departure by metrô for walking tour in the city center. We will visit the most important sites of Brazilian History in Rio, like the National Library, the Paço Imperial, Tiradentes Palace, The Portuguese Royal Lecture Room and the panoramic view of the colonial buildings that remains at Uruguaiana Street. Optional lunch at Confeitaria Colombo. Return to Hotel. A large cast of dancers and percussionists presents a spectacle of beautiful and varied history of Brazilian folklore. A parade of costumes: everything is based on color, brightness and movement in the lush melting pot called Brazil. One of the best places in Rio de Janeiro, located in historical Lapa district, in an old renovated house. Great music and relaxing atmosphere. The interior of club is full of antiques and old cars. And there is an old dentist's chair by the entrance. This is not only nightclub where you can listen music, dance eat or drink, it is a musem with spacious venue of three floors. Optional: dinner. Return to hotel. Departure from Hotel to a nightclub with live music. Return to Hotel. Breakfast and departure by metro to the National Museum and Quinta da Boa Vista Park, in São Cristóvão, a traditional neighborhood located in the northern zone of Rio de Janeiro. The park is part of the Solar da Boa Vista, the royal residence of the emperors of Brazil from 1822 to 1889 when the Republic was proclaimed. The garden was designed by the French landscape artist Auguste Glaziou in 1869. The National museum is inside the Park. It is the oldest scientific institution in Brazil and the largest museum of natural history and anthropology in Latin America. Return to the hotel. The hotel has 116 rooms distributed along 12 floors. All rooms are well equipped with air conditioning, individual safe, Cable TV, 1 telephone, high speed internet access, minibar and complete bathroom with hair dyer. 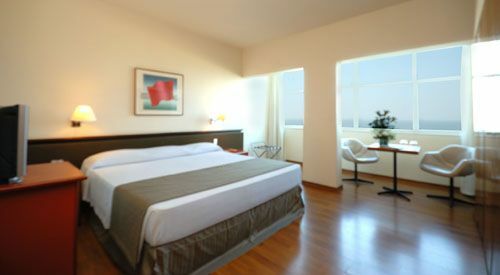 Deluxe rooms and suits with sea view. 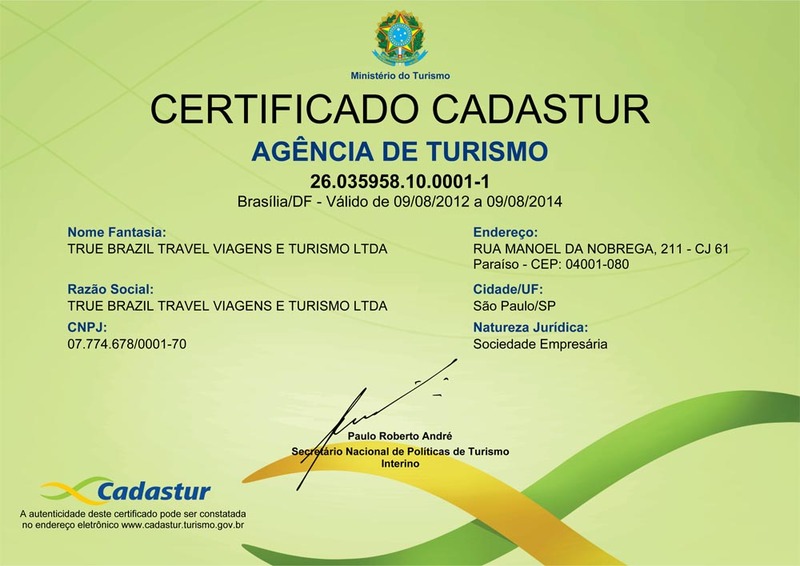 Fazenda San Francisco Agro Ecotourism Tours and Lodge is located in the Pantanal of Miranda, Mato Grosso do Sul, Brazil. It has a wide variety of flora and fauna, and gives you the actual operation of a farm: cultivation, production and metier, moving together in the interests of conservation of the environment. 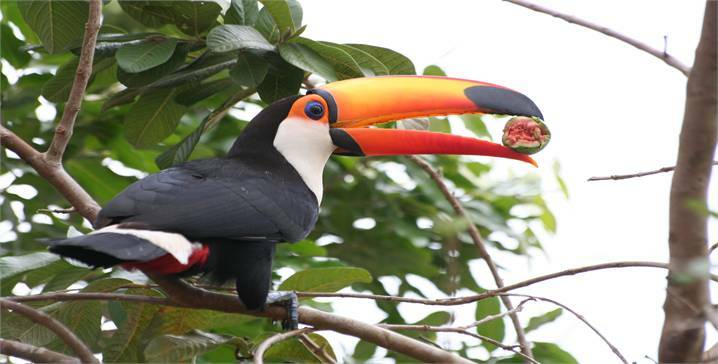 Birding in Pantanal, Night Saf ri, Safari Ecological and several other tours, in the heart of the Pantanal. After inheriting a small piece of land in 1940, Jose Lima Coelho and his wife Cyra Gomes Coelho Lima opened the farm Baia das Pedras, close to the Vazante do Castelo. With much dedication, the couple Jose and Cyra started working with cattle and later acquired new areas that now make up 15.000 hectares of beautiful and unspoiled nature. The name is partly because there are two bays next to the property, and there is gravel at the bottom of one bay instead of sand (Baia das Pedras = Gravel Bay). The family was well know in the region for the friendships and the great parties in the property. The main house was built in 1960, which today symbolizes Pantanal hospitality. In 2003, the lodge was totally reformed and began to receive visitors from around the world, especially Europeans and Americans. Currently, Rita Coelho and D¢io are responsible for the property, which besides tourism, has extensive catlle range and horse breeding. 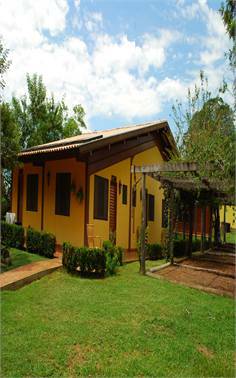 The Lodge is located 300km from Campo Grande in the heart of Pantanal. Refugio da Ilha is a lodge situated in an island of 4.000 hectares in the middle of a river delta and all tours are made in this area. The goal is to discover as many species as possible as well as enjoying the nature sounds and stunning landscapes. Tours vary accordingly to the season or climate, but usually last from 2 to 6 hours. Refugio da Ilha suggests a minimum of four nights to do different tours. Built in a 65-thousand-squared-meter area and only 3 Km away from downtown, this charming inn is surrounded by woods, yards, and gardens. As you arrive, say goodbye to your old routine: no traffic, no noise, and no pollution! Pousada Olho D'µgua understands you will be among them for a well-deserved rest and special moments of fun in contact with nature in a peaceful and comfortable place. The rooms are located under the native trees found in the woods, with mini bar, solar heating, air conditioning, and a nice porch for you to spread a hammock and relax.